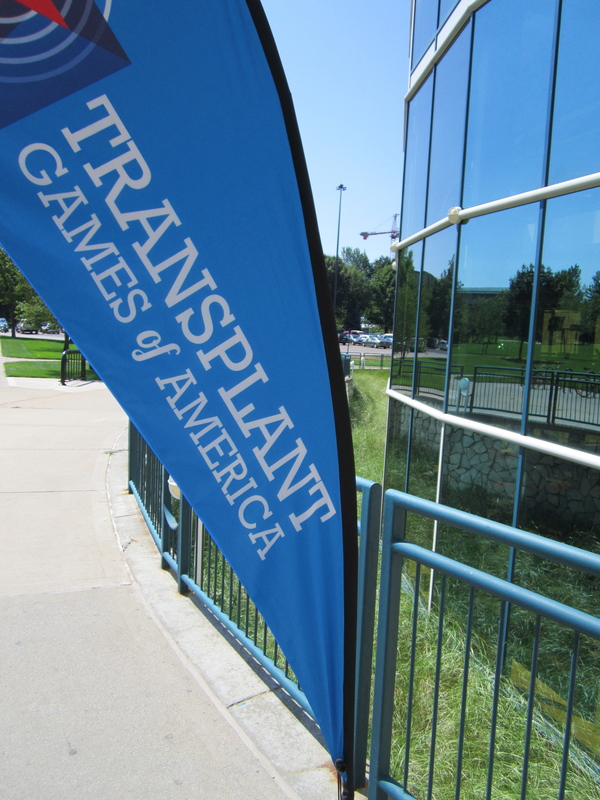 As many of us are watching the Olympics unfold in London, I have had the opportunity to watch another type of event take place at Grand Valley State University: The Transplant Games of America. Talk about inspiring. Move over Michael Phelps, these people don’t joke around. Well, actually they do, because they understand how to celebrate the gift of life. I have alw ays been overwhelmed with emotion when I hear about someone receiving an organ. It’s incredible to hear that someone’s life may be saved through a selfless act, and often times it takes place after another life has been lost. I can never finish watching NY Med with a dry eye as I watch families go through the gut wrenching process of organ donation. I encourage everyone to register to become a donor, if they are capable. I understand that some people may not believe in it for their own personal reasons. But many people do believe in it, they just simply don’t register. The Transplant Games of America website has a link to become a donor. I thought the Olympics was the most inspiring athletic event on the planet – but I’ve never had the opportunity to witness it in person. I am in awe of the work of the staff at Grand Valley State University who are working with the Transplant Games of America to make it happen. I feel very fortunate to be able to see The Transplant Games of America take place and am totally inspired by everyone involved.